Please consider supporting this great cause! Windham unites for cancer 9/16-9/22! Mark your calendars for a special week of unity as Windham raises awareness of pediatric cancer in honor of Cole Stoddard, who died of neuroblastoma at the age of five. The hallmark event of the week is the 6th Annual Jaguar Blackout Cancer Football game on Friday, September 22. During Windham Blackout Cancer Week, WHS and WMS athletic teams will dedicate their games to pediatric cancer, and students from all four Windham schools and area preschools will collect small toys that will be delivered to delight children at Floating Hospital for Children at Tufts Medical Center. Flyers will be sent home with students the first week of school. 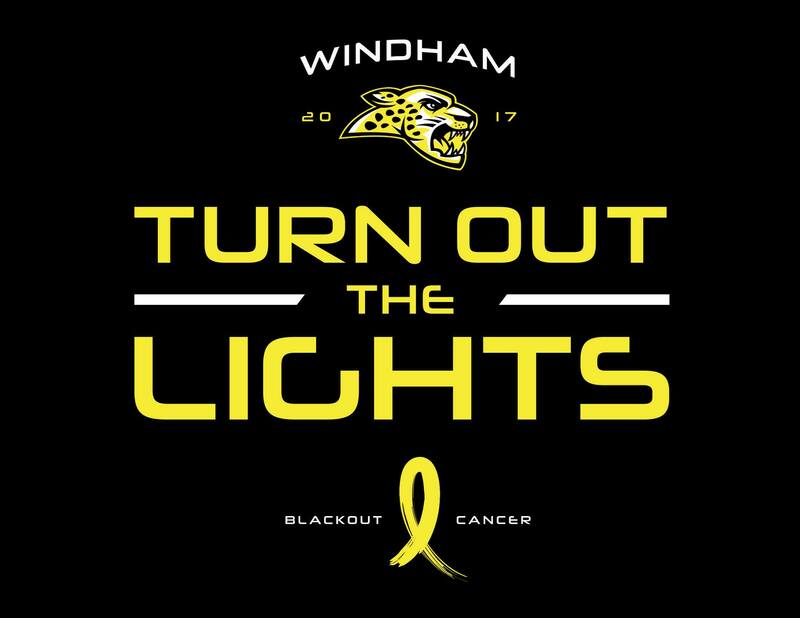 The week’s activities culminate at one of the largest community events in Windham, the 6th Annual Blackout Cancer Football game under the lights on September 22 at 7pm. This event has helped raise over $35,000 for cancer and this year’s event promises to be even larger. 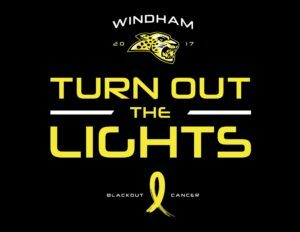 The popular Blackout Cancer t-shirt will be available for sale from Tuesday, August 15 through Tuesday, August 22 at www.windhamblackoutcancer.org. Proceeds will go to Windham Helping Hands Cancer Fund and to pediatric cancer research.